I've recently stumbled on the 1907 version of "Google," the "World Almanac and Encyclopedia. Over 900 pages of information including history, industry, the nations millionaires, etc. etc. A few threads ago we had a thread about cars advertised as capable of 70 mph. When searching for that thread, many 70 plus mph references were to locomotives (trains). After finding this chart, I can see why. 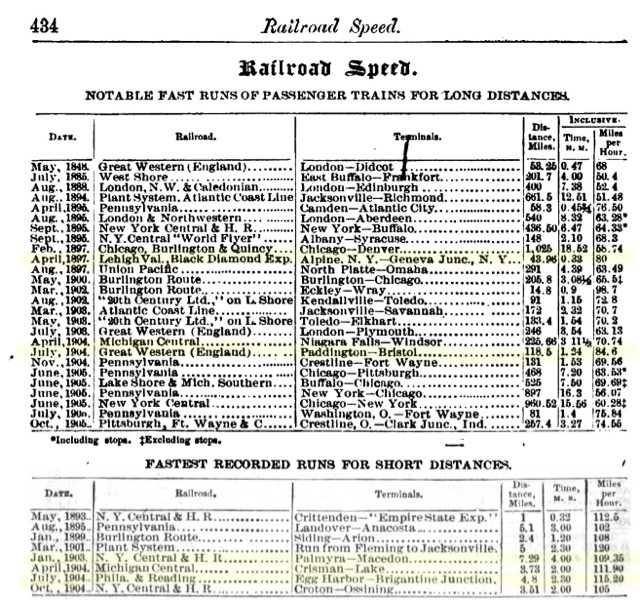 The fastest recorded passenger train speed, 120 mph over a five mile stretch. Speed and distance, 84.6 mph on a 118 mile trip! "Automobile industry" begins by reporting that "October 1, 1907 marked the end of the automobile selling season." I wonder if that is the reason Ford chose Oct 1 as end of their fiscal year, and often the beginning of the new model year? The account also reports 55,000 vehicles were produced in 1907, with an average cost of $2,000. On Saturday I picked up my daughter, home from college for Christmas, at an Amtrak station. Over The trip was 350 miles, normally a 5-1/2 hour trip, but the train arrived almost four hours late, which is bad even for Amtrak. Interesting that in the days of computers and satellites, the schedule standards are far, far lower than in the days of the steam engine and the conductor's stem-winding watches. A few more related "trivia" items. 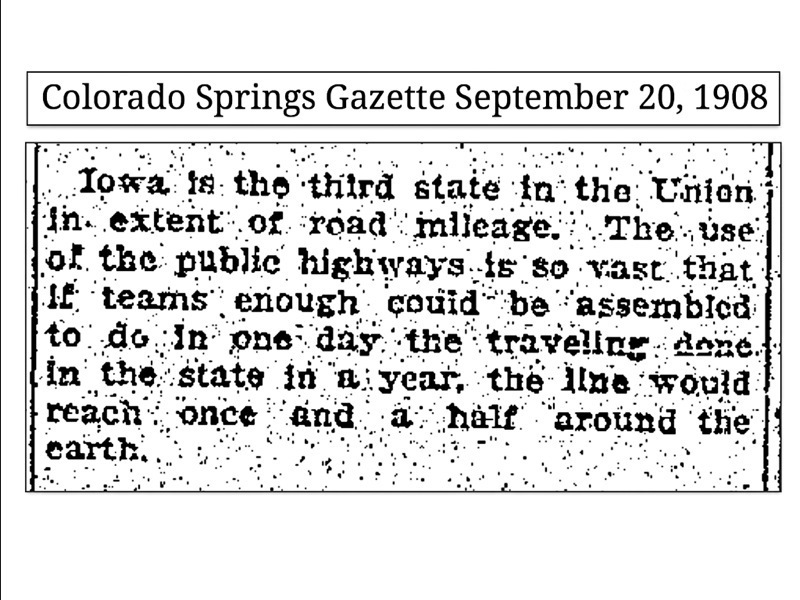 In 1908, the state with the third most miles of road? 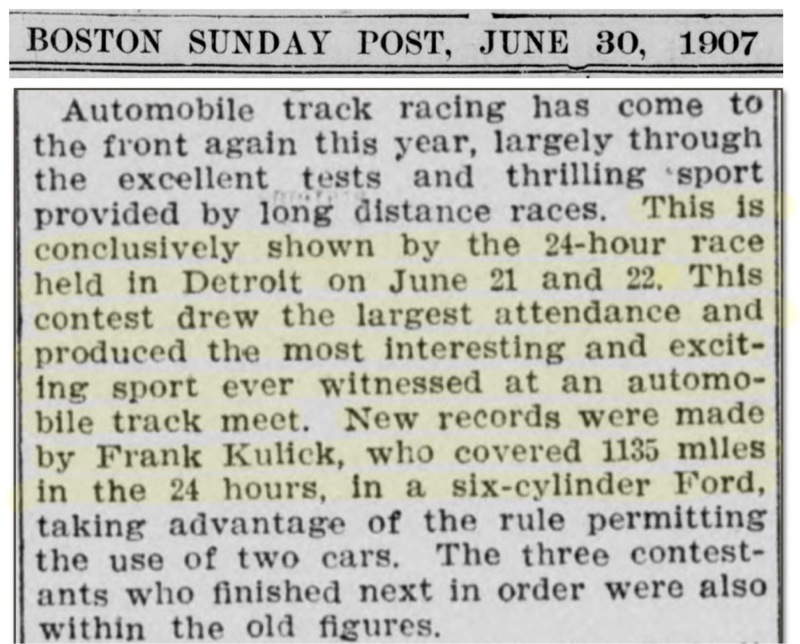 1907: "largest attendance and produced the most interesting and exiting sport ever witnessed at an automobile track meet?"